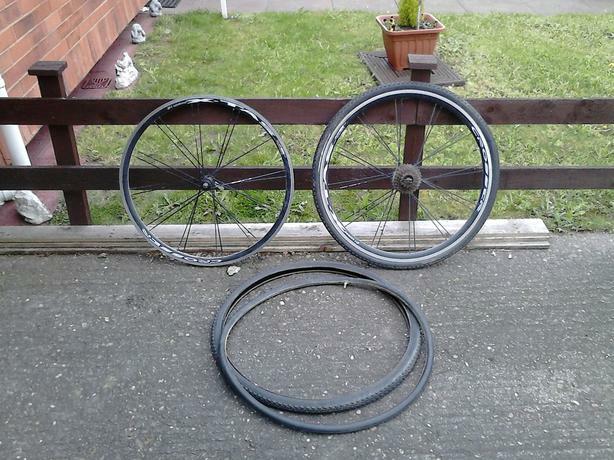  Log In needed £20 · 700c wheels for sale 21 SPEED. A matching pair of 700c bike wheels with tyres and tubes. Stickers are slightly damaged on one side of both wheels. The front hub is a bit gritty but still usable and also has slight buckle. The rear wheel is all good just needs the tyre seating on the rim properly. Both tyres are in very good condition. front rim has been drilled to accept a Schrader valve by the previous owner. A bargain at the price. No offers please. Buyer must collect as I have no transport.